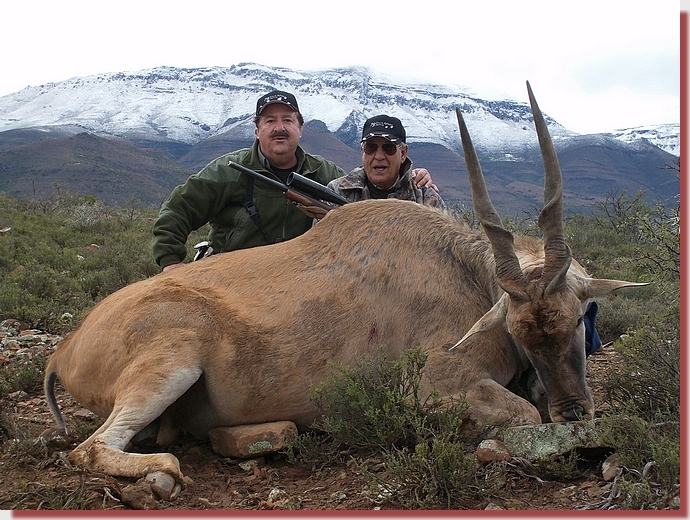 This Eland was shot by my client, Carlo Desinano, from Italy. He took only one shot at the eland with a GS Custom 130 gr HV bullet from my 308 Sako. It was 203m from us when it was hit. Following are photos of the recovered bullet that I extracted from the opposite side of the eland; it was lodged under the skin. This really proves the unbelievable, superior performance of these bullets.